Get news out about your next gathering fast! 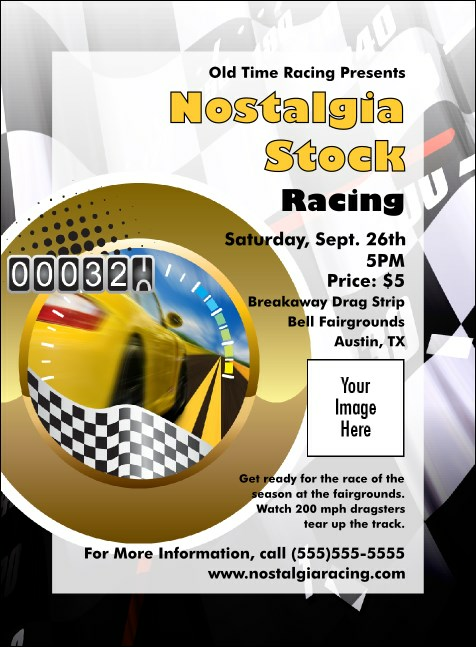 Made just for racing fans, the Stock Car Racing Invitation features a background that will get them excited about your event. A stock car, checkered flag and speedometer share space with your information. A custom image upload makes it customizable! With all sorts of solutions to fit your needs, TicketPrinting.com is the only pit stop you need to make!